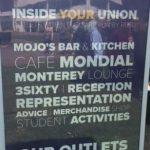 There are food shops on and near campus, including large supermarkets, small specialty shops, and outdoor markets. Remember to take your own bags. Asda – is a very large supermarket in Lower Earley, and you can get there easily on the 21 bus. Here is the bus route from campus. It takes about 15 minutes. Asda is open 24 hours, except during the weekend. Morrisons – is not quite as big as Asda, but also has a large selection of food products. Tesco – has a large store north of Reading and smaller Tesco Express branches in town. Sainsburys – has a superstore on Broad Street and smaller Sainsburys Local branches. Aldi – is a well-known discount supermarket. Students say: Cheap and good quality. Marks and Spencer – sells clothing but is also well-known for its food section. Students say: Good supermarket for dessert and high quality food. Click on the map below for a closer look at supermarkets near the University. Use online shopping – it’s useful for saving time, especially when you can order with friends. University of Reading Co-op – is a small supermarket with food to cook yourself and prepared hot meals. They offer a student discount. Students say: You can get fresh ready to eat fruits. Seoul Plaza – is a Korean shop with lots of Asian food choices in the Students’ Union. 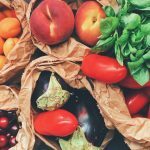 Fresh Fruit & Vegetable Market – takes place every Thursday in the Students’ Union. Check out the full list of Campus shops and cafes. See Woo supermarket – specialises in Southeast Asian food and cooking equipment. Reading Farmers’ Market – local food and drink twice a month at the Cattle Market. 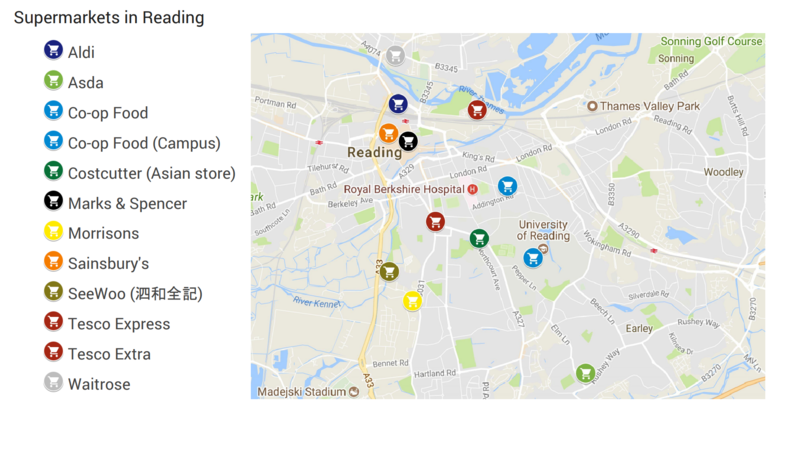 Reading Vegan Market – takes place once a month. The German Artisan Bakery – is in Windsor but their van visits Reading once a week. The NUS Extra card (for full time students) gives you hundreds of discounts on food at shops and restaurants, as well as on other products/services. There is an annual fee. 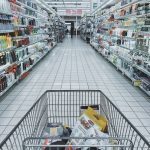 Some supermarkets have their own card that saves you money through discounts, cash back or other rewards. They have different names, for example: Morrisons More, Tesco Clubcard, Sainsbury’s Nectar. Sign up in-store or online. The website mySupermarket helps you compare prices and save money. 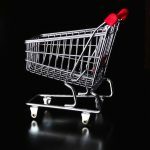 Shop at a new online supermarket each time to get discounts for first-time users. Go to Aldi. It is cheap and good quality. Shop in the evening when the produce is reduced to keep cost down. Look for big supermarkets outside campus, get the reward cards and keep coupons to save money.